AWS to Open Data Centers in South Africa – Amazon Web Services, Inc. (AWS), an Amazon.com company, today announced it will open an infrastructure region in South Africa in the first half of 2020. The new AWS Africa (Cape Town) Region will consist of three Availability Zones. 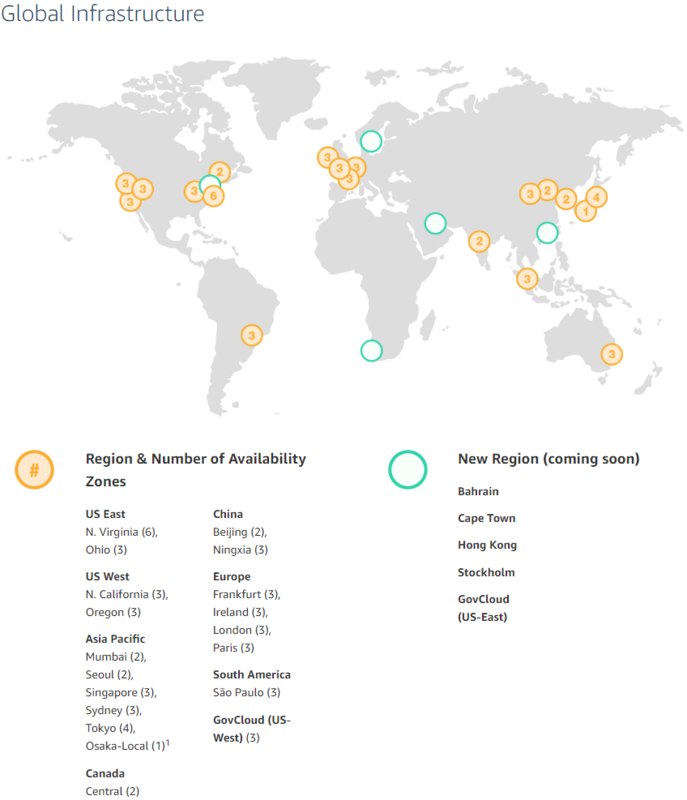 Currently, AWS provides 55 Availability Zones across 19 infrastructure regions worldwide, with another 12 Availability Zones across four AWS Regions in Bahrain, Hong Kong SAR, Sweden, and a second GovCloud Region in the U.S. expected to come online in the coming months. The addition of the AWS Africa (Cape Town) Region will enable organizations to provide lower latency to end users across Sub-Saharan Africa and will enable more African organizations to leverage advanced technologies such as Artificial Intelligence, Machine Learning, Internet of Things (IoT), mobile services, and more to drive innovation. Local AWS customers will also be able to store their data in South Africa with the assurance that their content will not move without consent, while those looking to comply with the Protection of Personal Information Act (POPIA) will have access to secure infrastructure that meets the most rigorous international compliance standards.